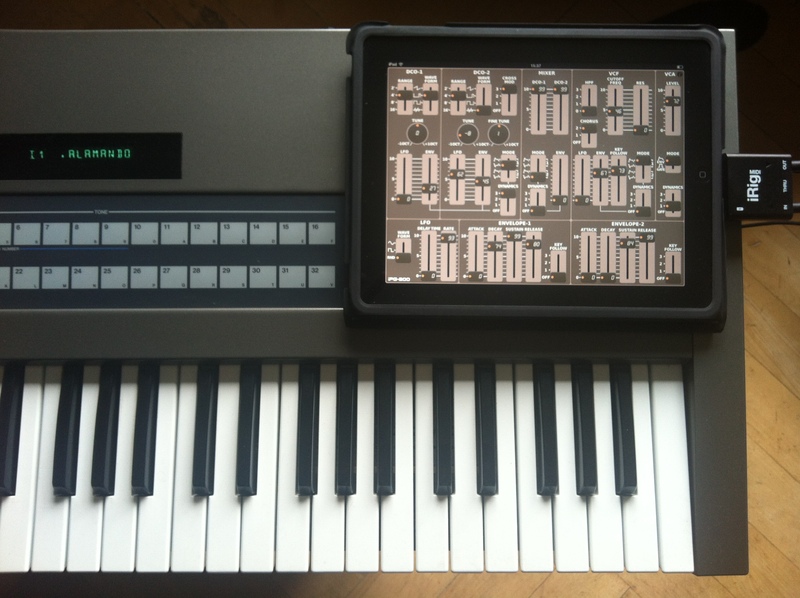 iPG-800 is a MIDI Controller iPad app emulating the functionality of the PG-800 Synthesizer Programmer that was built by Roland. 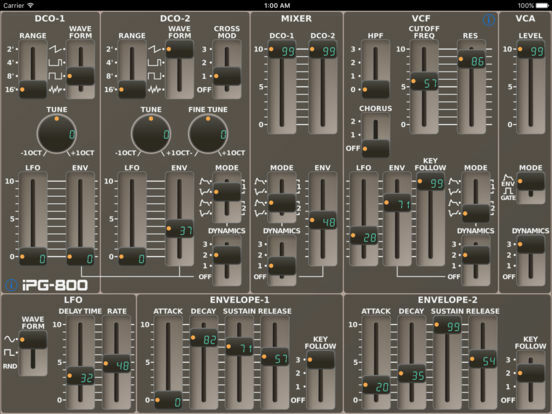 It only works with a Roland JX-8P synth or a MKS-70, the rack version of the JX-10. 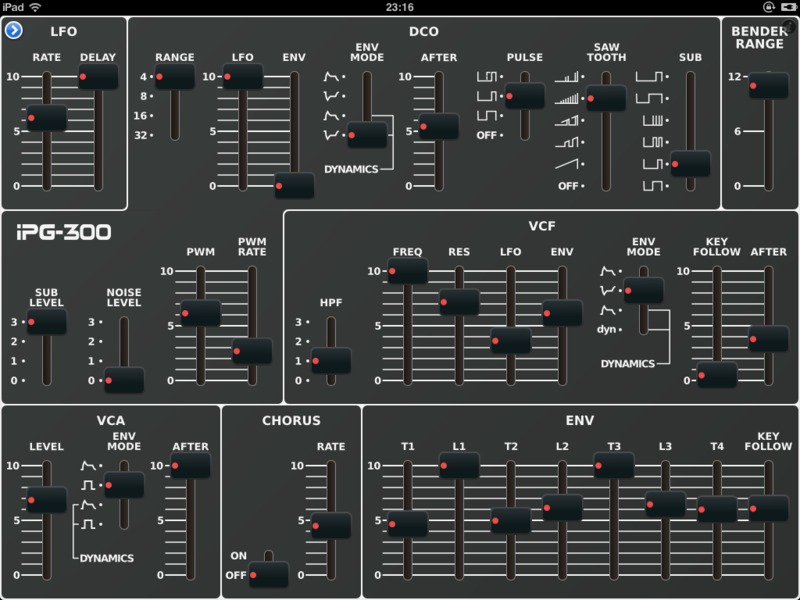 Important note: It fully works with a JX-10 that has the new OS by Frédéric Vecoven installed http://www.vecoven.com/superjx/superjx.html, and it works with limitations, like no parameter updates, with the older OS by Colin Fraser. 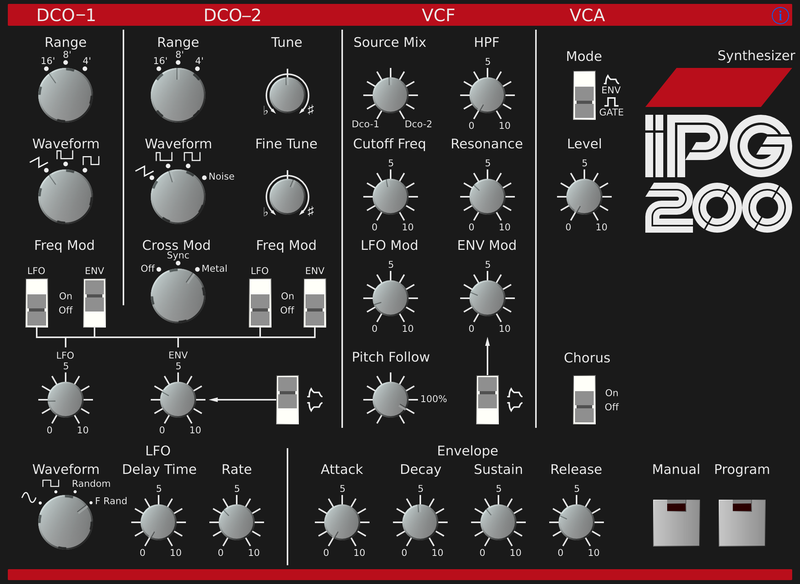 iPG-800 V 1.2 includes a virtual PG-300 that supports the Roland Alpha Juno 1 + 2 and MKS-50. Thanks to Steen Jakobsen for beta testing!